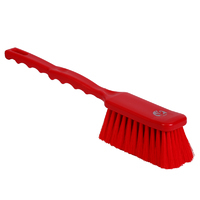 Discover Klipspringer’s range of bannister brushes, which effectively sweep and collect debris, and baker’s brushes which can move extremely fine flour dust. 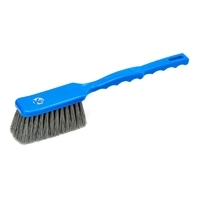 Our bannister brushes are designed to effectively sweep different sized particles and debris and can be used in combination with the KsPrism pans as a traditional dust pan and brush, or by themselves. They are fitted with comfortable, easy to hold handles and come in a range of different bristle types to suit your application. Baker’s brushes include the bread flour brushes which are perfect for sweeping away or moving extremely fine particles, such as bread flour. These brushes are designed for both left and right handed people, for optimum comfort and productivity. Designed to sweep and collect debris in conjunction with KsPrism pans using either soft/medium or medium/stiff depending on application. The inclusion of extra soft filaments to the range covers removal of excess flour or sucrose dusting on bakery products. KsPrism bannister brushes maintain a straight profile in both dry and damp conditions allowing access through narrow spaces. 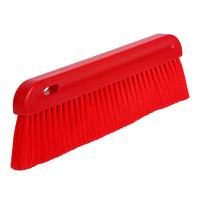 Based on the same classic handle design and narrow profile body, the detectable fill bannister brush is made from bristles which are both metal and x-ray detectable. Filled with fine, firm PBT filaments for effective movement of flour dust etc. 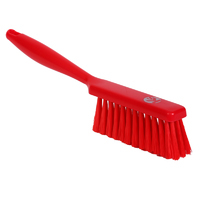 Generous bristle area with long easy-grip handle assist when a long reach is necessary. Note elongated hanging eye. 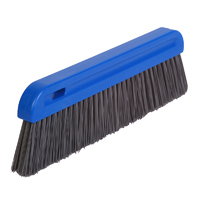 Designed to work effectively with right or left hand removing find dustings effectively with fine but firm filaments. Narrow profile has earned the title groove brush rendering this article ideal for cleaning down small equipment. 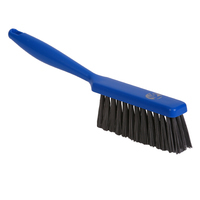 Designed to work effectively with right or left hand removing fine dustings effectively with fine but firm filaments. Narrow profile has earned the title 'groove brush' rendering this article ideal for cleaning down small equipment. Detectable filaments and brush body. Generous bristle area with long easy-grip handle assist when a long reach is necessary. Note elongated hanging eye. Detectable filaments/bristles. 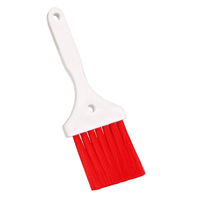 KsPrism presents their range of glazing brushes in 3 sizes and 3 colours. Narrow profile filament clumps set in white slim polypropylene handles (with hanging eyes) encourage the fine finish associated with professionals.